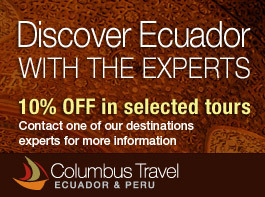 Choose a Tour in Cusco, Machu Picchu or the Sacred Valley with Columbus Travel. These highlights of Peru are filled with discovery of rich history and culture of previous eras when the Incan Empire ruled these parts of the Andes. If you want to join us on an adventure of a lifetime find the following tours we have created with you in mind. Cusco is home to thousands of visitors who come each year to witness the beautiful colonial churches, convents, monasteries, and pre-Columbian ruins. As you walk down the streets you are still able to see Incan ruins, archways, providing the foundation for many of the modern buildings that now stand in their place. If you really want to experience it all, plan to spend more than one day due to the altitude and the number of all the amazing things you absolutely have to see before you leave. Coming off the Incan Trail and catching your first glimpse of Machu Picchu will leave you feeling in awe. Of all the seven wonders, many argue this is the most majestic site of all. The Incan Sanctuary stands tall within the mountain forest with regal peaks behind it. The site was once a complete Incan City that was once lost, buried and long-forgotten. It was finally found by archaeologist Hiram Bingham in 1911. Now, completely uncovered and displaying the staircases, arches, water irrigation systems, temples, palaces, towers and fountains, you should really plan on taking your time to discover it all. Across a span of over 100 miles (161km) lies the Sacred Valley of the Incas in Peru. Over 13 different sites of Incan remnants can be found. This valley became sacred to the Incas as the landscape became temples to the ancient rulers they worshipped, building many tributes across it. With the Sacred Valley tours we've designed you can easily explore the ruins left behind while visiting some of the earliest villages of Peru like Pisac, Urubamba and Ollantaytambo.